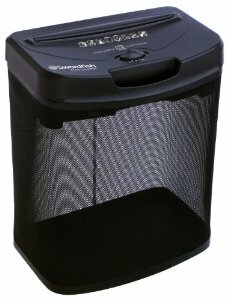 This light-duty shredder is fast! With a cutting speed of 2.2m/minute and an 8-sheet capacity, it will quickly deal with all home paper shredding. The stylish mesh bin makes it easy to see when it needs to be emptied.